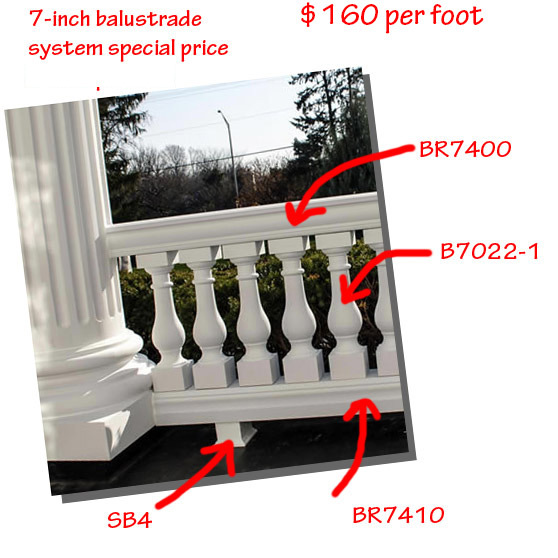 At the Cheap Column site, we give you great prices on architectural balusters, newels, rainlings and balustrade systems. That doesn't mean we skimp on quality, we just save money on things like company cars, expensive offices and this web site. If you're a pro, you know what you want, so we don't waste time with a wordy sales pitch, we just give you a product description, the vital dimensions and a price quote. We carry more than columns at the Cheap Column site, we can give you great prices on Seven Oaks high-density, polyurethane balusters, rails and newel posts. Seven Oaks Molded Urethane balusters, rails and newel posts are made from polyurethane that offers the ornate characteristics of carved wood but is decay resistant and low maintenance. These balusters, rails, newels and newel caps are factory primed and need to be painted before they are exposed to sun or moisture. Otherwise the prime coat may peel. The table below shows prices for the most popular Seven Oaks balusterrade parts, if you don't see the style you want you can download the complete Seven Oaks catalog. We’ll be adding more styles and product lines over time. If you don’t see what you’re looking for, you may want to consider the Stone-Polymer Balustrade system or our wood balusers. Click the button to see choices for balusters made from other materials. For the matching 8-foot bottom rail. The prices for our Seven Oaks balusters, rails and newel posts vary based on the style and quantity you order. The table below shows the quantity discounts. These balustrades are made out of high-density polyurethane, which is a paint grade, low-maintenance product. For the installation hardware, check the notes under the part number or ask us. We can provide all the hardware necessary to install the balusters with ease. 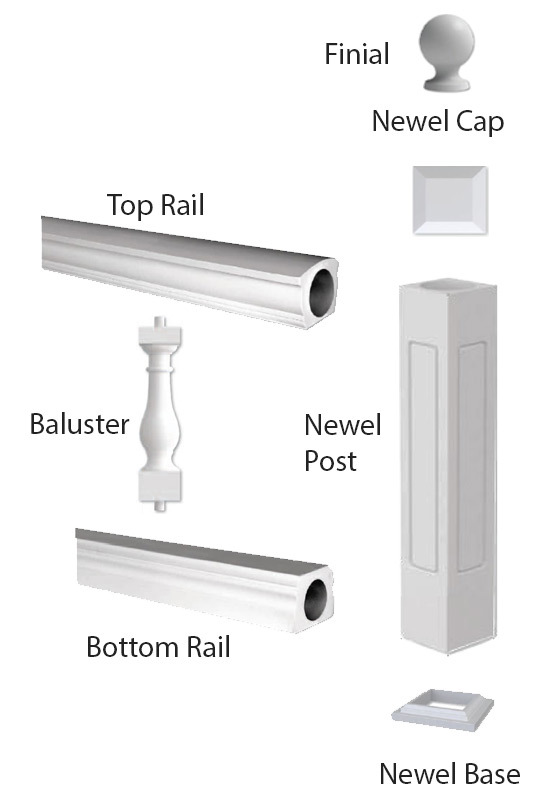 Note for rails: two kits are required for each section of rail installed.